The easiest way to grow is by giving people a good reason to share! Do some thinking about this from the start. It will pay off. But Growing is only one part of the puzzle. To be successful, games need first to stand out and be noticed, then connect with players and engage them, and finally find a way to continue growing their player base. Assuming of course that there is a sustainable business model behind. Once you found a way to engage your players in the long-run you need to now find a way to grow the number of players using your game. The most effective way to do this is when the players themselves share and promote your games among their friends and family. You are getting new players coming in. 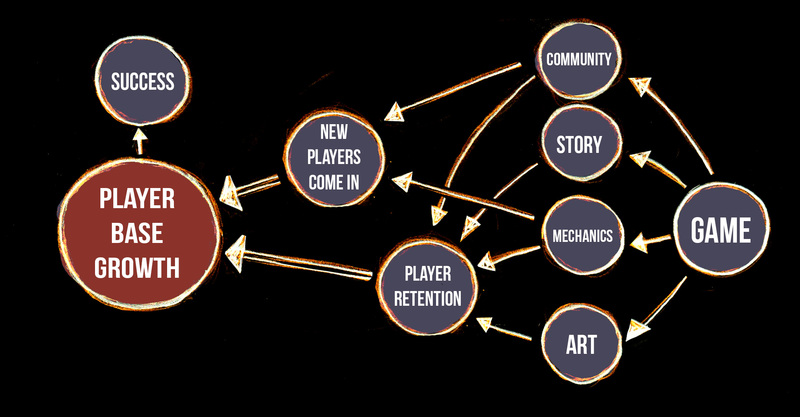 Growing your player base is an essential part of a successful game, but to do that you need to first stand out and be noticed, connect with players, and engage them in the long-run.